Why Shop? | When Do They Serve The Wine? Need an excuse to shop? Even though I spent my young adulthood as somewhat anti-materialistic, very liberal, and still am a believer in both of those attitudes, I have come to believe that helping the economy along is a good thing. Particularly since I think our President is doing a fabulous job with the cards he was dealt. Ronald Reagan’s presidency is at the heart of a lot of the mess we are in now, making a lot of Americans feel entitled and reckless with money. But enough about that. Let’s go shop. 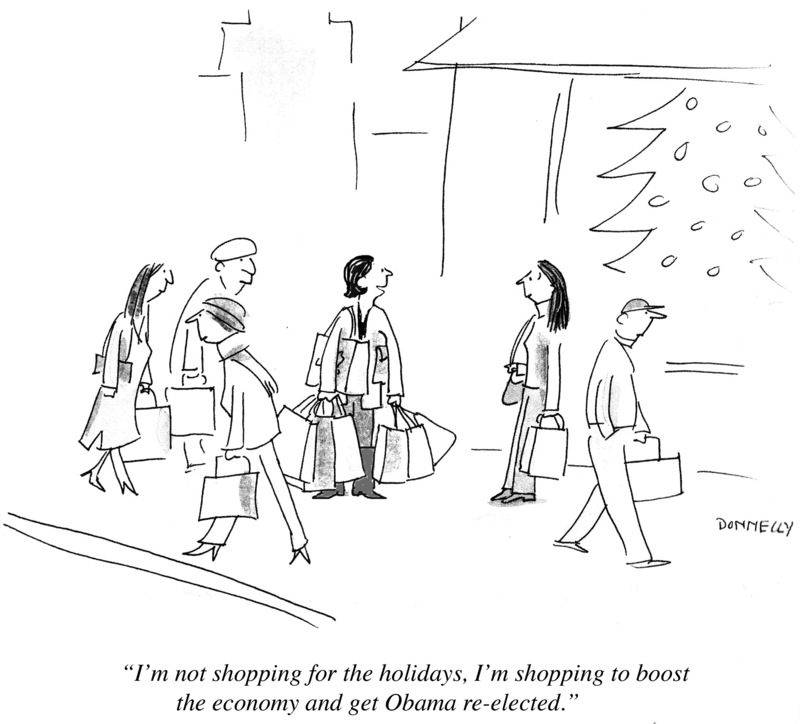 This entry was posted in Random but Relevant and tagged cartoons, economy, Politics, President Obama, Ronald Reagan, shopping. Bookmark the permalink.